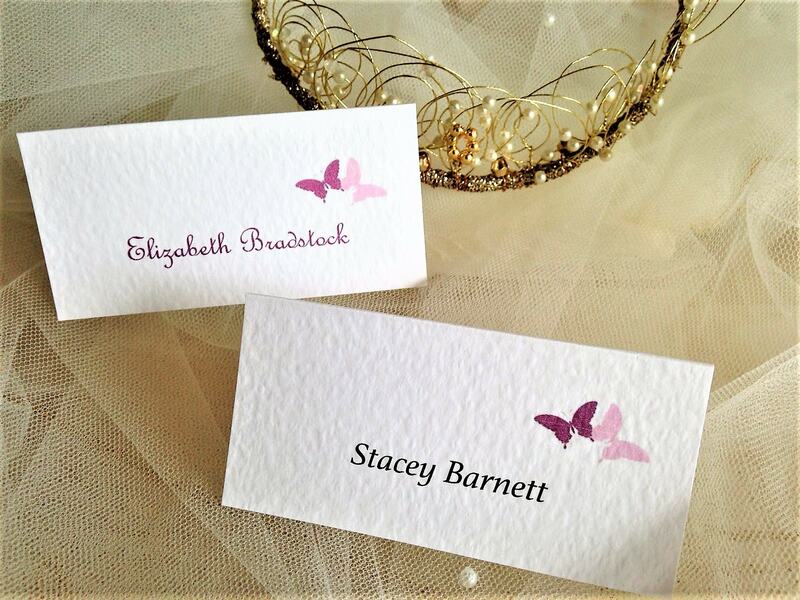 Our Purple & Lilac Butterfly Place Cards are print on a thick heavy weight (270gsm) white or ivory hammered card. 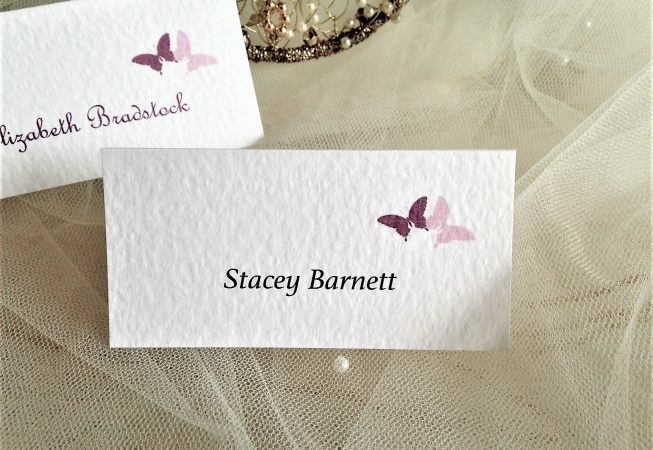 The Place Cards are 10cm square and fold in half to stand up. 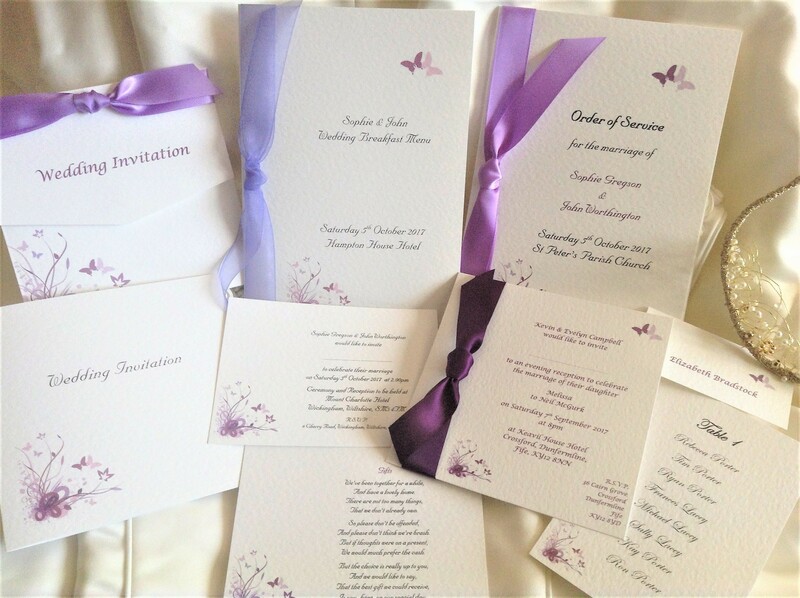 We can print in any colour and font to match a theme. 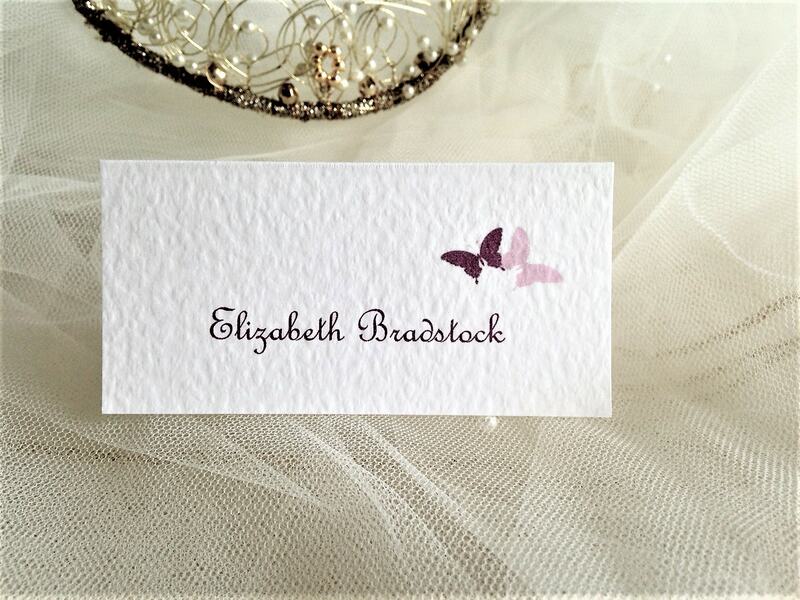 Purple & Lilac Butterfly Place Cards are part of our Purple & Lilac Butterfly Wedding Stationery range. 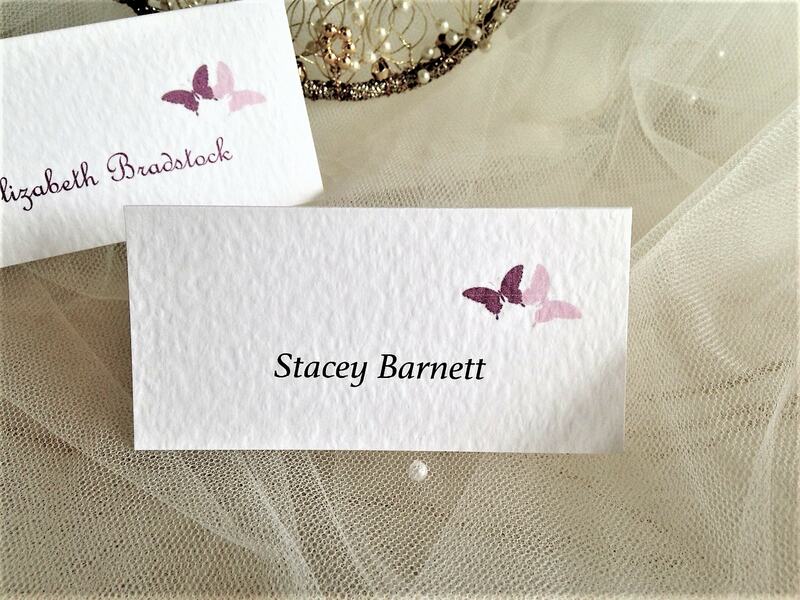 All personalised printing with guests names.